These orangish red ones are more desireable and bring more money. 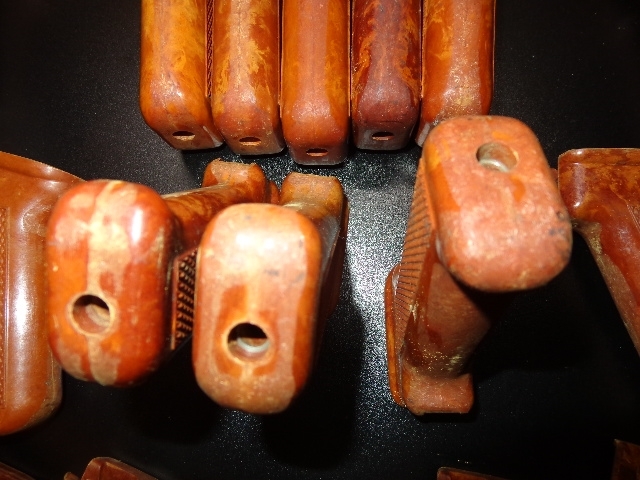 *** Bakelite identification. I am pretty sure if the diamond pattern faces inside and grip is narrow style its Romanian, and if diamond pattern faces outside and grip is wider its Polish. ** Not a 100% guaranty, but I think its correct. these will show some wear from use, some light nics scratches, dings, but overall verygood condition. Sold as is, no refunds returns or exchanges. Many of these have a faded circle stamp on the side saying"WJK" or something like that, other than that, hard to identify, other than the color. 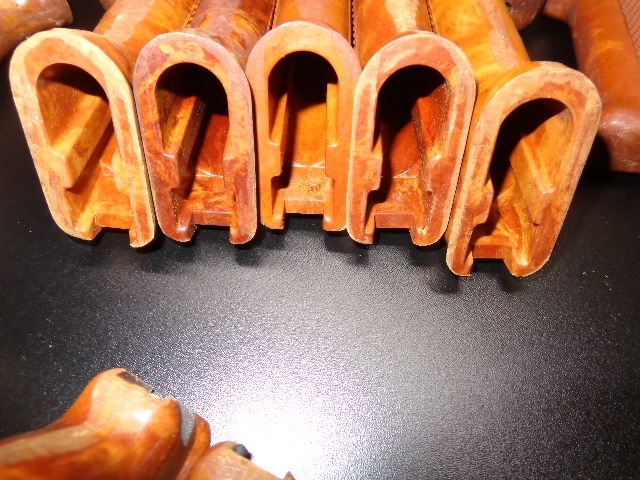 The color on these tend to be redish orangish, see pictures. 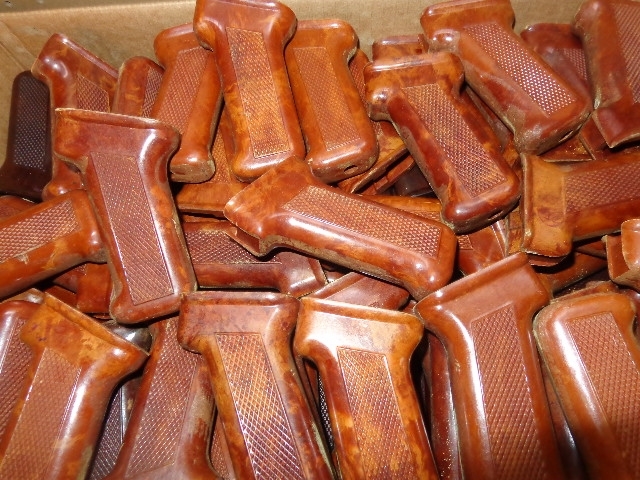 Every bakelite grip has its own unique pattern and bakelite varies in color and shade, it seems from batch to batch. If you want me to hand pick what I think looks the best out of 5, I do that for $5. I will pull 5 out onto floor and look at them and pick the one I like the best and that is the one you get, if you pick that hand pick option. 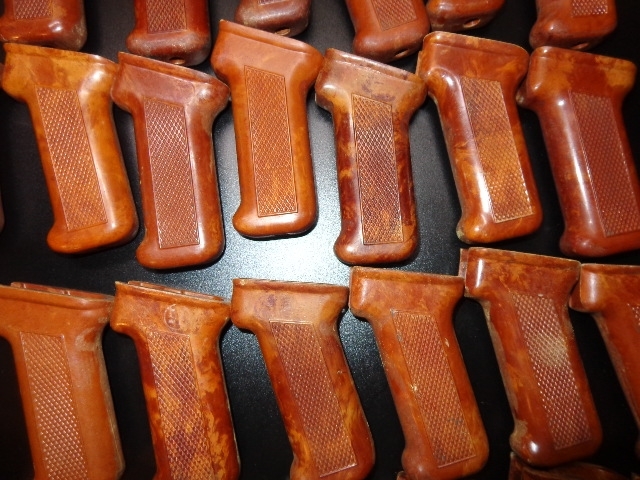 *** Please note, the bakelite pattern varies on these, and each one has its own unique pattern. Some are a bit more solid, some have more of a marbled type pattern. 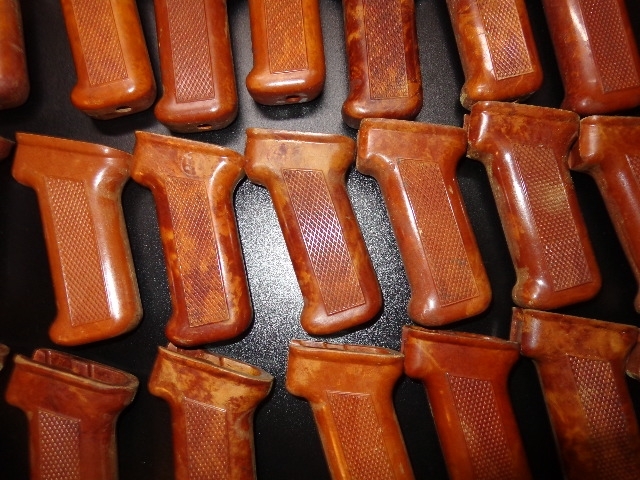 *** If you want the best looking ones that I see, then you need to select the hand picked option..
**Tip*** Bakelite can be cleaned up easily! Simple green and 0000 Steel wool can take old almost black bakelite grips and make them look about NEW. 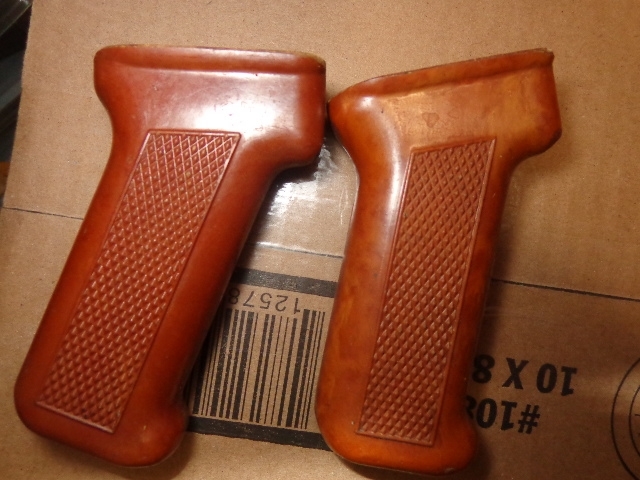 Some bakelite seems to soak up oil, grease, gunpowder more than others and turns a lot of bakelite almost black. 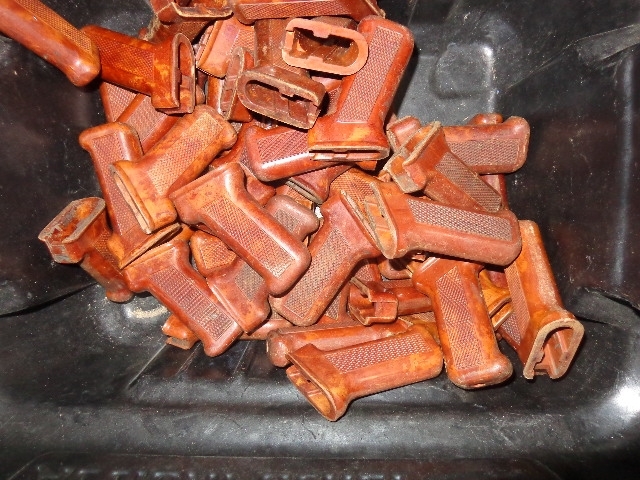 I have restored hundreds of almost black bakelite grips, that turned out to be real nice underneath. 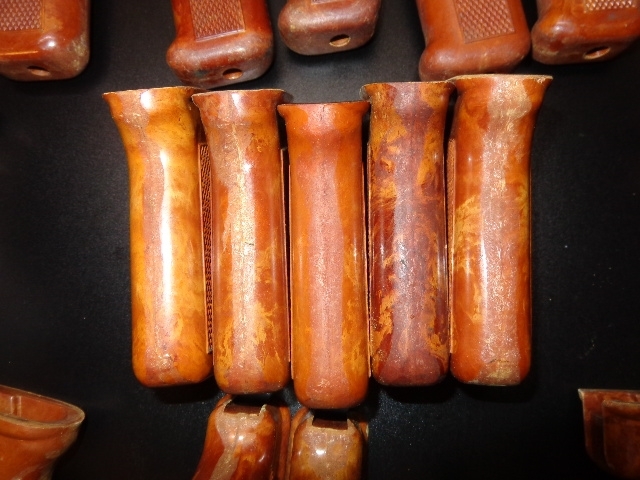 I do sell some bakelite grips I call restored that I cleaned up. 922R rules apply. All surplus parts are sold as is, no refunds or returns. All parts are sold with the intent to be used as replacement parts for legal firearms. I payed the extra for a hand picked one and was blown away at the one i received. Best one ive ever seen. Love the color. And with my bigger hands this grip is a touch longer and fits me great!! Was very clean right out of the package. Awesome Price.